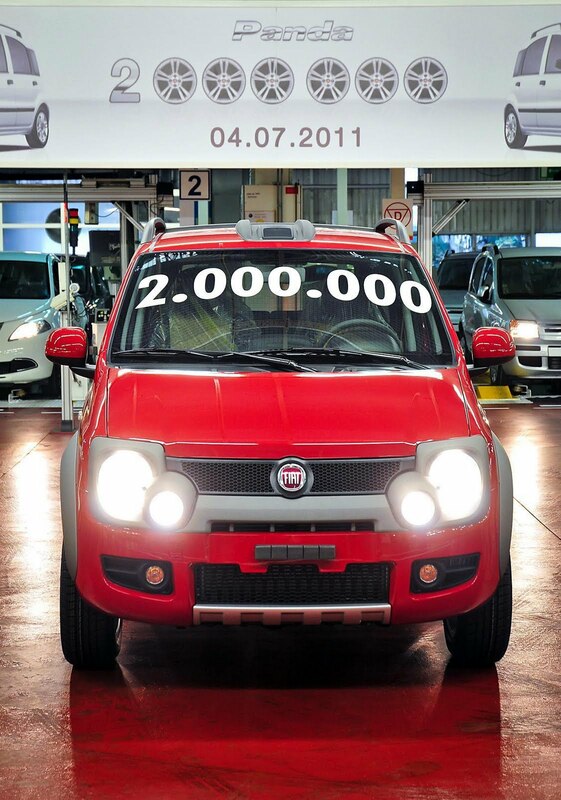 The Fiat Panda city-car reached a new landmark recently, when the 2,000,000th model rolled-off the production line in Tychy, Poland. The milestone car was a Pasodoble Red Panda Cross with a 75bhp 1.3 MultiJet diesel engine that will be delivered to an anonymous customer somewhere in Europe. Launched way back in 2003, the Panda is sold in 76 markets across the world, with more than half of orders coming from outside the European Union. 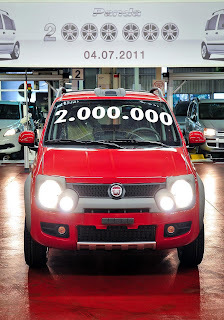 The first half of 2011 saw the Panda become Italy's best-selling city-car, outselling rivals such as the Vauxhall/Opel Agila, Kia Picanto, Hyundai i10, Suzuki Splash/Alto, and Toyota Aygo. The all-new Panda is due to launch in September 2011.